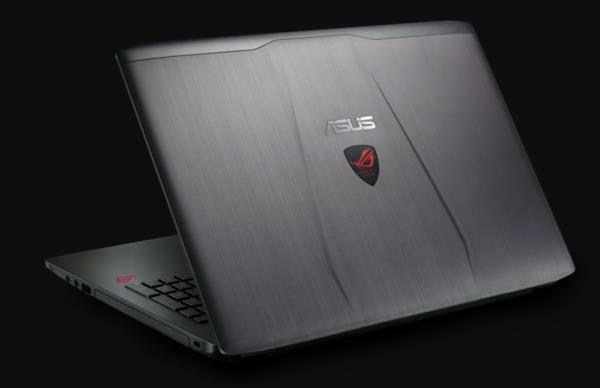 The GL502VT is the cheapest model in the Asus ROG Strix gaming notebook series. It features the high-end Nvidia GeForce GTX 970M video card, powerful 6th Generation Intel Core i7-6700HQ quad-core processor, a large system memory size of 12GB, and a traditional 1-Terabyte hard drive. The Asus ROG GL502VT-BSI7N27 doesn’t include a built-in DVD burner. Stereo speakers, HD web cam, Wi-Fi, Ethernet LAN, Bluetooth, three USB 3.0 ports, HDMI video output, combo audio port, and a media card reader are common features for this type of a 15.6-incher laptop. In addition, the notebook provides a compact USB-C port and a mini DisplayPort video out.